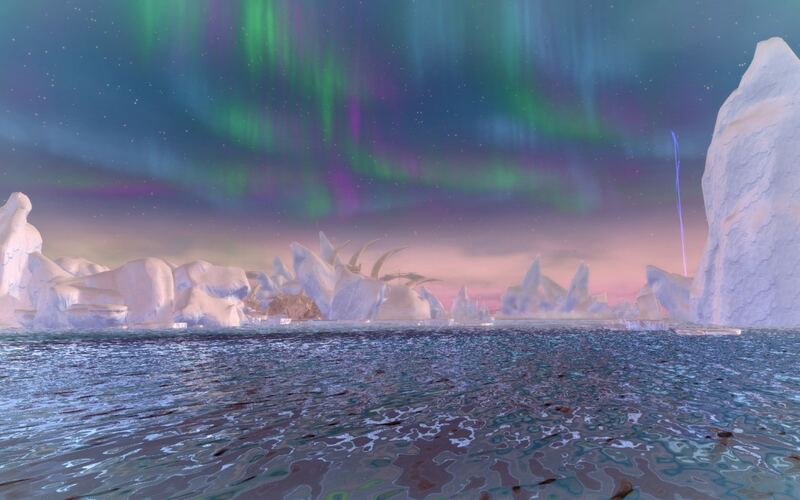 The Sea of Moving Ice is a vast field of floating ice far to the north of Neverwinter. Enormous icebergs and small floes swirl and grind in chaotic patterns that have tricked more than one experienced sea captain. The ice here is studded with the wrecks of ships that risked a passage and failed. The debris of civilizations both old and new is also trapped within the ice. Each winter when the ice pack expands it scours islands and coastlines clean and preserves the treasures it claims in a frigid time capsule. 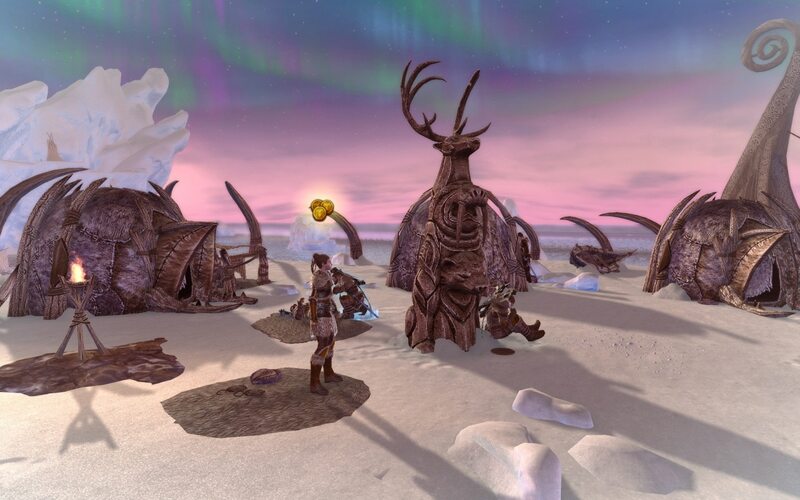 The Sea of Moving Ice is the location of the final chapter of the Storm King’s Thunder story. The heroes must follow Storvald and his army of frost giants and slaves into the Jarl’s backyard and find some way to assault the frost giant leader’s stronghold, Svardborg. You will once again be adventuring with Wulfgar, Cattie-brie, and Artus Cimber. 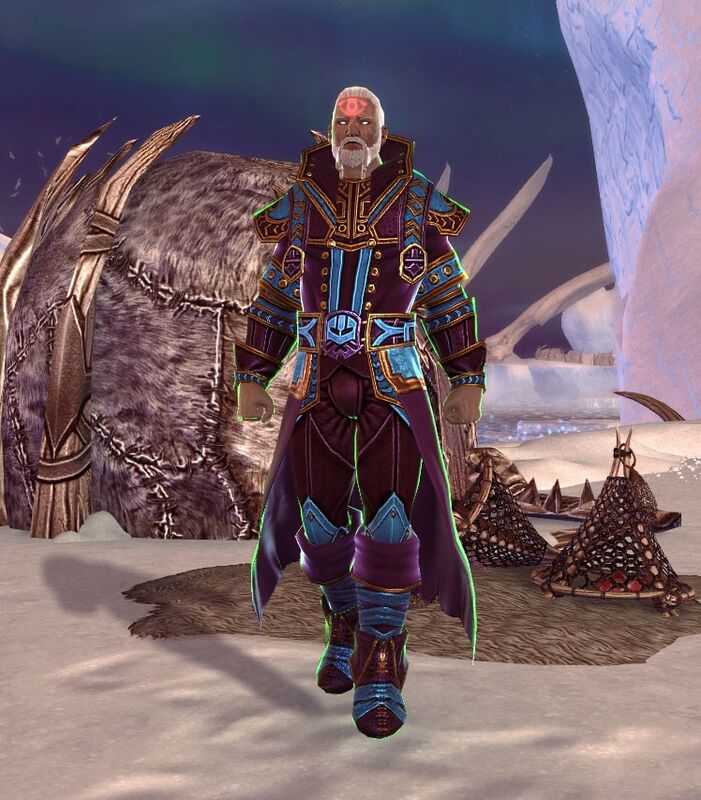 Kavatos Stormeye, a powerful wizard and member of the Arcane Brotherhood, has come north to aid the heroes and fill the void left by Makos. Wulfgar’s Elk Tribe has also made the journey north to aid in the fight. When you first arrive at Artus’ camp, Elk tribespeople are few in number and the trek from Icewind Dale has left many injured or sick. However, if you are able to procure equipment for the tribe and keep them fed with a steady supply of fish from the ocean, you’ll be able to transform this ragtag group into an army capable of going toe-to-toe with Storvald’s forces. Storvald’s troops are no pushovers. He has his loyal frost giant warriors and a seemingly endless supply of ice trolls bound to his service. 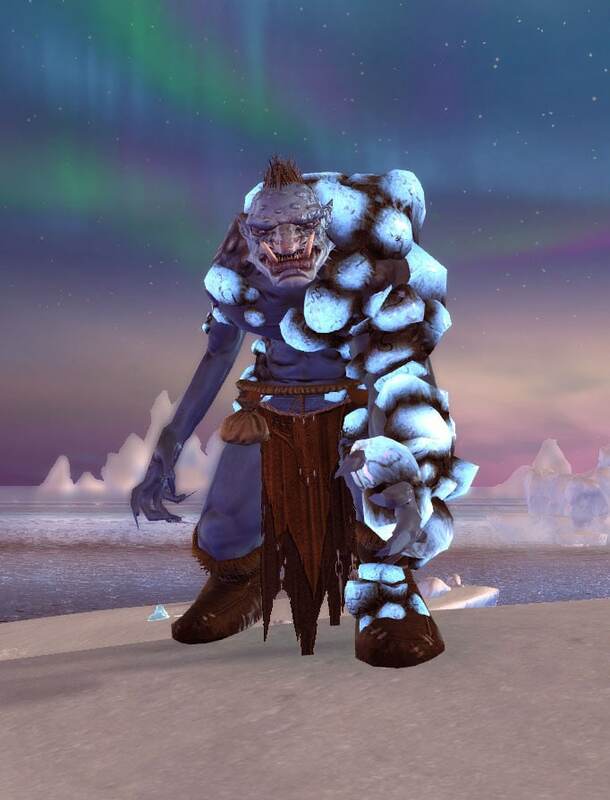 The ice trolls’ insatiable appetites have also inadvertently provided the frost giants with a new weapon. A troll handling the heavy lifting in one of the frost giant’s workshops got peckish and decided to sample some of the runes being forged into equipment. The troll’s robust digestive tract actually managed to digest the rune and incorporate some of its power into the creature’s flesh. This makes the trolls quite dangerous when their health is low. Storvald can also call on the Ice Hunters for assistance against the heroes. The Ice Hunters are a tribe native to the Sea of Moving Ice who survive on the area’s abundant fish and other wildlife, like seals and bears. 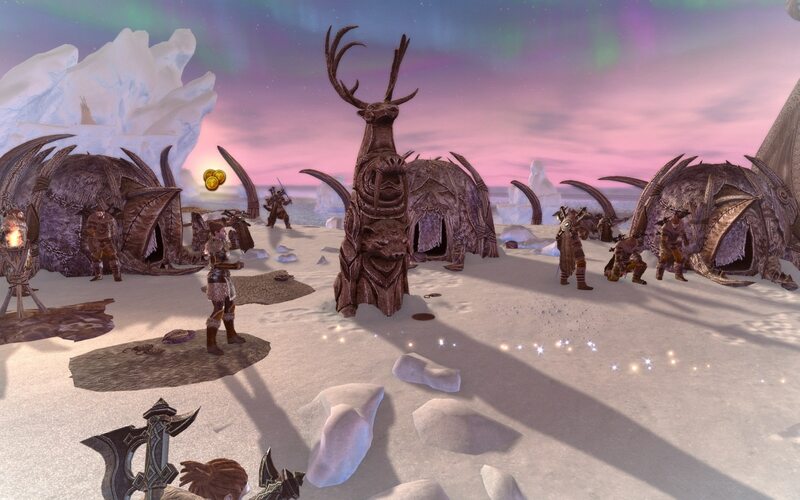 Unlike the ice trolls, who are fairly content in servitude as long as they are fed regularly (and get an occasional rune treat), the Ice Hunters fight against their will. The frost giants defeated the Ice Hunters in battle and then took the oldest and youngest members of the tribe as hostages to ensure the cooperation of the tribe’s warriors. The battle against Storvald and his frost giants has been joined in the far north, but victory is far from certain. The disparate forces gathering in the Sea of Moving Ice need someone to lead them and forge them into an army capable of taking on Jarl Storvald in his lair. Is your hero up to the challenge? P.S. 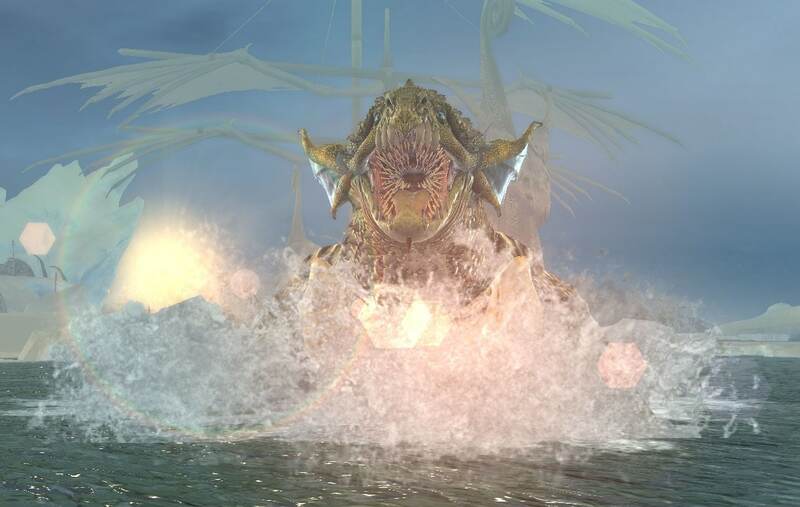 Be careful where you sail your khyek. No telling who you might run into.